A supreme blend of American technologies with the Indian tradition of selfless service! 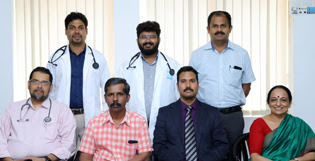 Indo American Hospital, IAH is one of the leading hospitals in Kerala specialised in Neurosurgery and Neurology. Incepted in 1996 under the aegis of the Bahuleyan Charitable Foundation, the Indo-American Hospital, Brain and Spine Centre is a supreme blend of American Technologies coupled with Indian tradition of selfless service to humanity. Born out of the vision of Dr. Kumar Bahuleyan, an eminent Neuro Surgeon & Philanthropist, this Super Specialty Hospital has been providing all facilities as available in any of the finest hospitals in Europe or USA for highly specialized treatments of Brain and Spine over 22 years of existence. Indo American Hospital has emerged as a center of medical excellence with medical specialties like Neurology, Neurosurgery, Endo Vascular Surgery, Neuro Radiology, ENT, Neuro rehabilitation and Physiotherapy. At IAH, a multi-disciplinary team of talented medical professionals work round the clock to ensure complete, compassionate care of patients. The hospital incorporates innovative technologies & latest equipment in the areas of surgery and treatment as practiced in the US and seeks to set bench marks and showcase American ideas and medical practices in India.